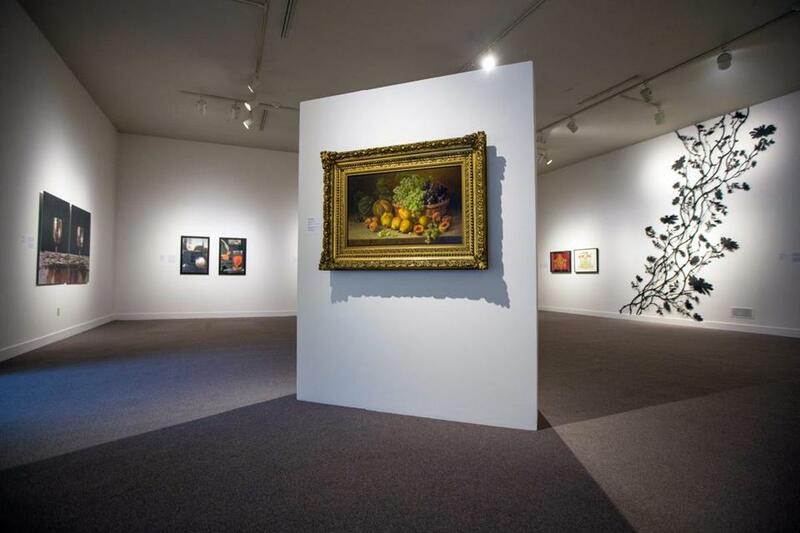 The exhibit “Still Life Lives!” at the Fitchburg Art Museum. Museum director Nick Capasso with associate curator Mary Tinti. FITCHBURG – To say that the Fitchburg Art Museum’s reputation is sleepy — even moribund — is no exaggeration. Just a year or two ago, exhibitions rarely changed, and many people didn’t even know the museum was there. “It was more a place for old things than for new ideas,” says Fitchburg artist Coelynn McIninch, who has lived in the city for more than 20 years. A new team at the museum is changing all that, led by director Nick Capasso, former deputy director of curatorial affairs at the deCordova Sculpture Park and Museum. Capasso signed on last December. “I inherited a museum with no curator, no fund-raising structure, and no exhibition schedule,” he says as he gives a visitor a tour. The tiny staff Capasso inherited from Timms included Jerry Beck, the director of marketing and community engagement. Beck, an artist and the founder of the now defunct Revolving Museum in Lowell, is a tireless and creative community organizer. Hired in the summer of 2011, he was already out drumming up support from the neighbors. Nearly a year after his own hiring, Capasso has spruced up some dusty exhibition spaces with new shows and a new coat of paint. Wall labels are transitioning to bilingual English/Spanish, to welcome the large Hispanic population in Fitchburg. The museum’s new associate curator, Mary Tinti, organized “Still Life Lives!,” an edgy yet spritely celebration of contemporary still lifes that features an impressive roster of New England artists. 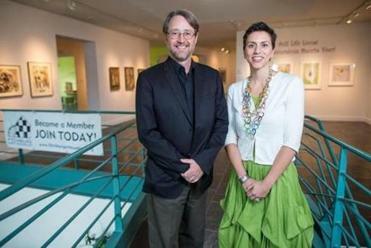 Capasso sees a niche for his museum as the new go-to place to view regional art. The deCordova used to dedicate its programming to New England art, so Capasso knows the territory. The deCordova is still in the game with its New England biennial but now regularly shows artists from all over. 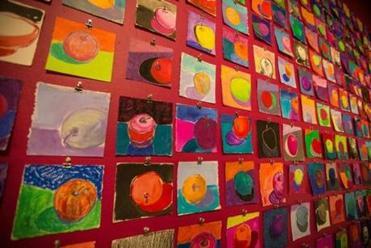 Arlette Kayafas, owner of Gallery Kayafas in Boston, went to the “Still Life Lives!” opening. “Almost ever gallery in Boston” had a piece in the show, she says. The excitement of the artists coming together was palpable, she adds. “Get enough Boston artists together and driving to Fitchburg is going to be a piece of cake for them, given what they’ll get in return,” Kayafas says. 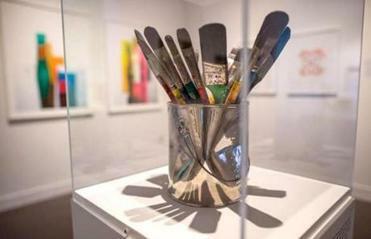 The still life show was designed to help neophyte viewers warm to contemporary art. Next up: a solo show for performance and video artist Jeffu Warmouth, a professor at Fitchburg State University. Tinti calls him “Fitchburg’s most famous contemporary artist.” His work rides on humor that can be snarky and sweet; it’s more provocative than a still life. “We’re trying to blow the dust out, and Jeffu will be a big help,” Tinti says. The Fitchburg Art Museum was founded in the 1920s with a bequest from painter Eleanor Norcross, a native daughter and American impressionist who may be largely lost to art history, but, Capasso says, was the first American to have a solo show at the Louvre. She has works in the Fitchburg collection, among its small pockets of strength in late 19th- and early 20th-century paintings. Capasso has forged partnerships with civic leaders and Fitchburg State University on initiatives that include designating a downtown cultural district and putting public art on the streets of the city. He arrived at a time when the city is feeling its potential, as other community leaders — FSU president Robert V. Antonucci, Mayor Lisa A. Wong — are throwing support behind the prospect of a creative economy. Next to the museum stands a boarded-up middle school. Capasso is working with the university and Fitchburg and Leominster’s Twin Cities Community Development Corp. to turn it into low-cost artist live/work space. “An Apple a Day” by Elisa H. Hamilton. Indeed, the Fitchburg Art Museum’s vitality depends more on Fitchburg than the deCordova might depend on Lincoln. Capasso reports that 66 percent of its operating budget comes from income from the endowment. Seven percent comes from philanthropy, and 27 percent is earned income from admission, classes, and membership programs. Ideally, each of these income sources would support a third of the budget. The museum has no director of development to court donors and write grants; Capasso plans to hire one. In the meantime, community support is that much more important. Coelynn McIninch says she has never seen the likes of what’s happening now. For instance, Capasso staged an artists’ town meeting — something unheard of at the Museum of Fine Arts or the Institute of Contemporary Arts. “They opened the doors, and said, ‘Tell us what you want,’ ” says McIninch. For Capasso, who still has a lot in front of him — like assessing the collection, devising a strategic plan, and getting a development director on board to raise money — doing outreach first was a no-brainer, for the museum and for Fitchburg. “Creativity saves cities,” he says.